The biggest rumor that has begun to spread around Mavs Nation is the fact that the Mavericks and Magic have touched base on a potential trade. 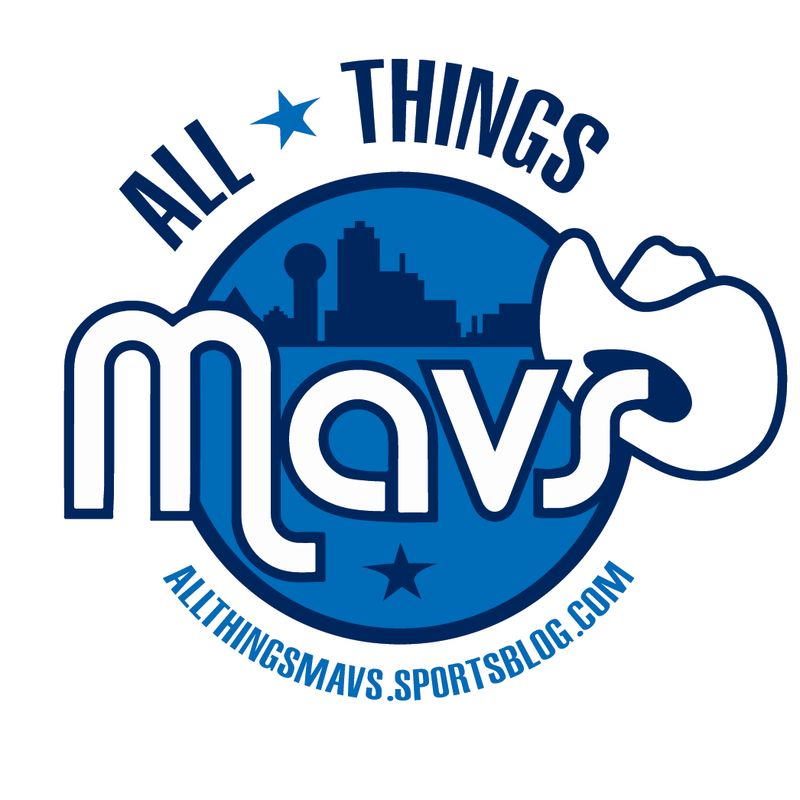 According to Mike Fisher of DallasBasketball.com, "without giving us specific names (leaving D-Lord and myself to educated-guess to fill in some blanks) a source tells DallasBasketball.com that yes, the Mavs and Magic have touched base on deadline ideas." The Magic have some big contracts on the books. The reason that is a problem is because Aaron Gordon, the biggest building block in Orlando's possession, is a restricted free agent this upcoming summer. Someone (maybe even Dallas) will be throwing him a max contract, and Orlando will have to shed some salary in order to be able to match that. Luckily, the Mavs have plenty of room to take on a good amount of money and a lot of expiring deals to send their way. In this hypothetical, Orlando gets two expiring contracts. Nerlens Noel can become an efficient player again, I don't think anyone doubts that, so they still get some value in return. However, if he does not show signs of life, Orlando can let him walk at the end of the season. McRoberts will only be an expiring contract, nothing more and nothing less. The second round pick is a nice little throw in, and it might just be enough to move the needle. I only see a few problems here. There is a very good chance the Magic can swap Vucevic for a first rounder somewhere. He has proven to be an above average NBA starter and will likely garner some decent offers if the Magic really are shopping him. On Dallas' side, I think they would be nuts to turn something like this down. *Orlando receives the more favorable of the Lakers' two second round picks, while Brooklyn receives the less favorable of the two. Biyombo signed a massive deal with Orlando two summers ago after his breakout playoff performance with Toronto. He has not been quite the player the Magic have hoped for, but he still does his job by pulling down boards and keeping opponents out of the paint. He's only 25 years old and gives the Mavs a defensive and rebounding presence they have been lacking. In Hezonja, Dallas gets a third year shooting guard that was once a top-five pick. He's begun to find himself this season after finally starting to get consistent minutes halfway through December. Hezonja scored a career-high 28 points in December and has consistently scored in double-digits since. The Lakers' second rounder will likely fall in the first five picks of the second round and could entice the Mavericks to take on Biyombo's huge contract. For Orlando, McRoberts and Noel's case remain the same as it did in the Vucevic trade. However, here, a healthy Noel really might not be that far off from Biyombo's skill level (don't tell Carlisle that) and for a much lower price. Curry had a breakout season for Dallas last year, but he is yet to play a game this year. It's hard to put a value on him, but he would likely be the difference between a yes or a no from Orlando...and maybe even Dallas. I think it makes sense for both teams, but I could see either one saying no. Dallas is reportedly the most reluctant to take Biyombo and Elfrid Payton from Orlando; , Hezonja may not even be on the trade block at the moment. This trade is interesting. Payton is not on a big contract, but the Magic are shopping him hard apparently. Fournier on the other hand, still has a good chunk of change owed to him over the next four years. The Frenchman is having the best season of his career and is only 25, making him a perfect addition for the rebuilding Mavericks. He is scoring 17.9 points per game on 40% three-point shooting. Payton is a good defender and is a young piece to add to the rebuild but has been inconsistent every single year. However, Carlisle may love a point guard like Elfrid that can defend multiple positions and fit well in a three-guard lineup. Payton and the afore mentioned Biyombo are the two players Dallas is least likely to take on, but neither are out of the realm of possibility. This may be the least likely of three trades mentioned. Dallas has a lot of guards ready to go, and Payton has mentioned that he would prefer to stay in Orlando. Fournier is someone I would be happy to see in a Dallas uniform, but I doubt it would happen like this. An Orlando trade is very realistic right now, however, the deadline is still two and a half weeks away. Fish has also reported that the possibility of acquiring Vucevic AND Fournier in separate trades is possible but just getting one or the other done would be exciting for MFFL's.